Mr. Neverauskas is responsible for the acquisitions, management and operations of Equus’ Midwest and Western U.S. portfolio. 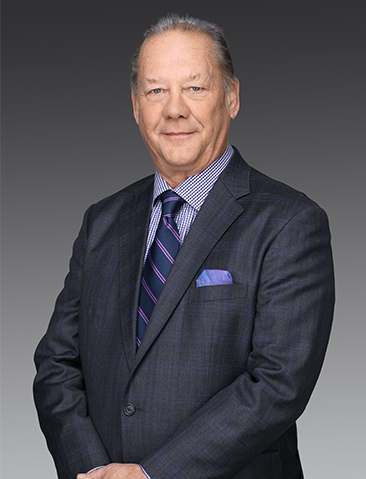 Mr. Neverauskas has extensive experience in acquisitions and dispositions, investment strategy and asset and portfolio management of institutional assets of all major property groups throughout the United States. Since joining the Firm in 2001, he has acquired more than 10,000,000 square feet of office and industrial space and has overseen the development of a 1.1 million square foot industrial park and the redevelopment of several major properties and member of the Investment Committee of Equus. Prior to joining Equus, Mr. Neverauskas was senior vice president and senior portfolio manager with Heitman Capital Management where he was involved in the investment and management of several large commingled real estate funds. Mr. Neverauskas is a licensed real estate broker in Illinois and is an active member of the Counselors of Real Estate, where he was former Chairman of the local chapter. He holds a B.S. in Real Estate from The Kelley School of Business at Indiana University where he is an advisory board member for the Benecki Center for Real Estate Studies. Mr. Neverauskas serves on the Board of Directors of several civic and non-profit organizations and a previous Chairman of the Investment Committee of St. George Corporation, a private healthcare organization located in Metropolitan Chicago along with being a board member of Palos Community Hospital. Mr. Neverauskas is also on the Advisory Board of Roosevelt University’s Marshall Bennett Institute of Real Estate Studies.